This is a “compression” setting which I’ve created from heavy 16 gauge Sterling Silver. The tension in the curvature of the metal is the only thing holding stone in place! I have nicknamed this piece “Hold Me Tight”. 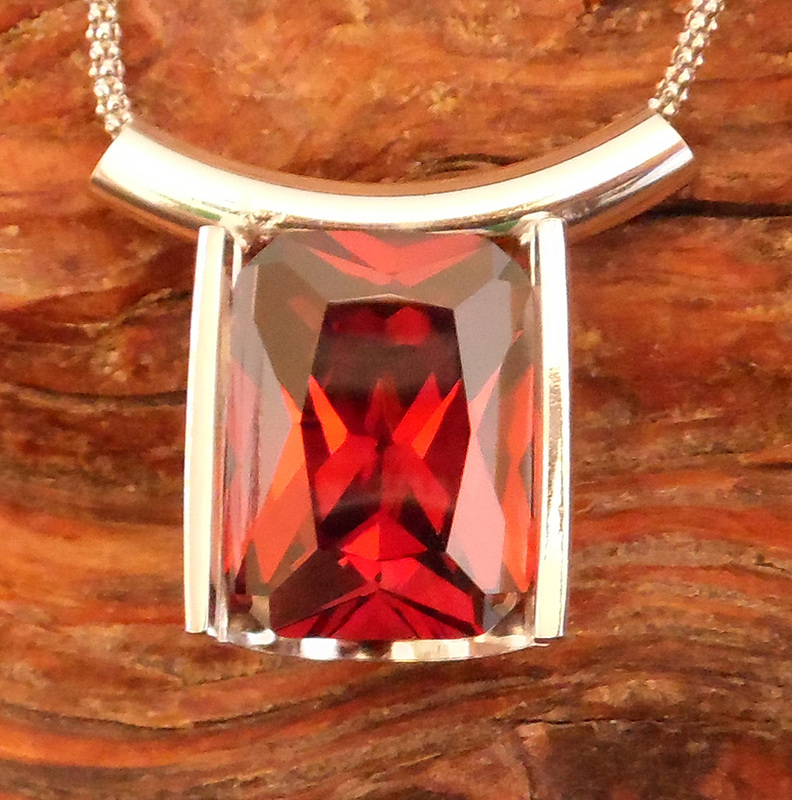 This stone is a Garnet-colored Cubic Zirconia. This piece comes with an 18 inch Sterling Silver “popcorn” chain. $139.00 including free shipping within the US.